Today, every other brand wants to have loyal customers. However, many organizations don’t realize exactly how difficult it is to run a good loyalty program. On top of that, it is exponentially difficult to effectively engage your customers. With the advent of newer light-weight personal communication technologies & customers becoming more mature as a result, operating loyalty programs is simply not good enough nowadays. To create a truly binding relationship, the customers must be engaged with your brand. Great customer engagement requires customization & personalization. In our last article we saw how to achieve this by capturing information of a specific category called PII (Personally Identifiable Information). Now let us see some underlying procedural aspects involved in customer engagement & respective challenges involved. So, to have constructive dialogue with customers, we need to track various customer activities, gain insights & then reward the desired behavior. We can divide this activity tracking process into following parts: capturing, storing, analyzing, protecting & applying. Let us individually study the challenges posed by each one of these parts. First challenge is “capturing” the transactions. The key challenge here is capturing all the pertinent information about the transaction (like purchase amount, products purchased, time of purchase, retailer/outlet etc. ), without sacrificing the speed of transaction. This information can then be used for analytics & predicting behaviors. Standing in long queues just to earn some points (which are anyways just a fraction of the purchase total) for a loyalty/engagement program is not acceptable to the customers. Hence capturing the right info at right speed is important. Second challenge is “storing” the captured information. Information collected through activity tracking must be stored in proper way so that it is quickly retrievable & accessible to various stakeholders in a layered manner. Format uniformity should be well thought out so that data is practically useful for multiple platforms. Connectivity of the data-generation & data-dissemination points is required to efficiently transfer information. Some properties like Timestamp, Retailer ID, Customer ID should always be associated with the information. The next challenge is “analyzing” the data. Here, one has to make a critical decision about real-time processing or batch processing based on volume & speed of incoming data as well as cost of technology implementation. The analytics engine should be able to derive proper insights from the data to give the engagement levels of the customers. Engagement related statistics typically include new product trials taken, repeat purchase rate, avg. purchase amount, no. of dialogues with the brand, feedbacks/surveys given, brand product range knowledge, product knowledge, new referrals brought in etc. Analytics engine should be designed by taking into account all these requirements. Fourth challenge in tracking customer activities is “protecting” the data. As we may be aware, protecting the sensitive customer information should be the cornerstone of any system design, if that system is to inspire any kind of trust. Customers won’t give the data with same vigor if they are not sure about the privacy of the data. Even if India lacks stronger laws on digital data security, trust is one of the prime catalysts to the acceptability of any campaign/program. Then there’s the challenge of “applying” the insights obtained from ‘analyzing the captured & stored data’. Timely messages in the form of targeted offers & personalized messaging are the most visible results. Other benefits which are not so direct for the customers are minor tweaks in the product features & product offerings based on customer engagement data. The advanced analytics would be of not so much use if brands cannot derive actionable conclusions from it. This process will of course vary from product-to-product, brand-to-brand & sometimes it could even vary from a customer segment to another. 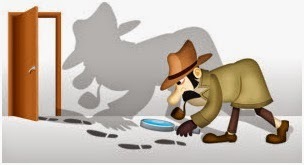 In our previous article, “The Friendly Spying That Maximizes Value”, we have already mentioned how tracking of customer activities & rewarding them could drive the desired behavior. We could even go ahead & claim that it is possible to cultivate communities of similar interests via such brand engagement initiatives. Companies are already doing it. Check out the community of runners/joggers or community of footballers created through Nike’s brand engagement efforts (Also see Nike Fuel+ gadgets while you’re at it!). The experience is so awesome for customers, that switching to a competitor’s product becomes almost impossible for them. 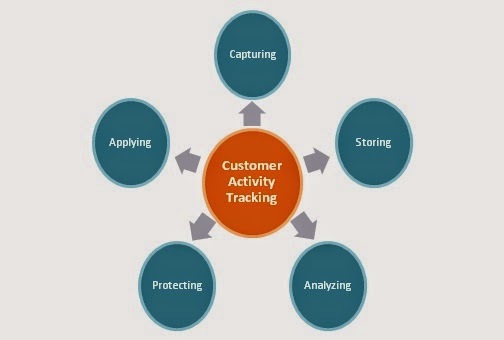 Next, let us delve into the technological aspects involved with tracking customer activities. In our next article we’ll try to address that perspective. Till then, keep spying on your customers (don’t curse me though if you get incarcerated)! Birdvision Consulting is a young and innovative company engaged in providing various technologically integrated products and services to enhance the efficiency of enterprise processes. Birdvision uses a combination of mobile/online platforms, game mechanics, high end analytics tools and various innovative rewards strategies to provide “INFORMATION & MOTIVATION” to various stakeholders in an enterprise.